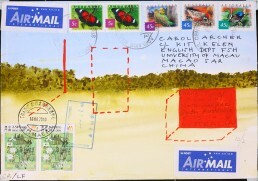 MACAO-ELSEWHERE PROJECT (2010-2011) explores the relations between geographically-dispersed places and people. 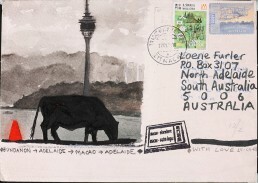 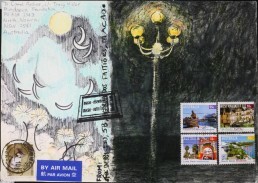 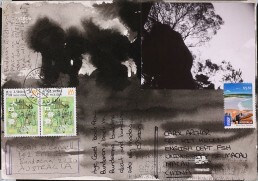 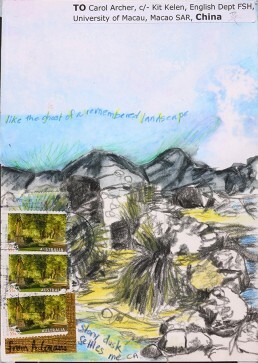 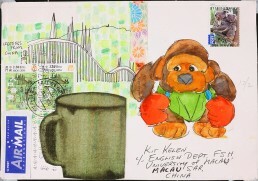 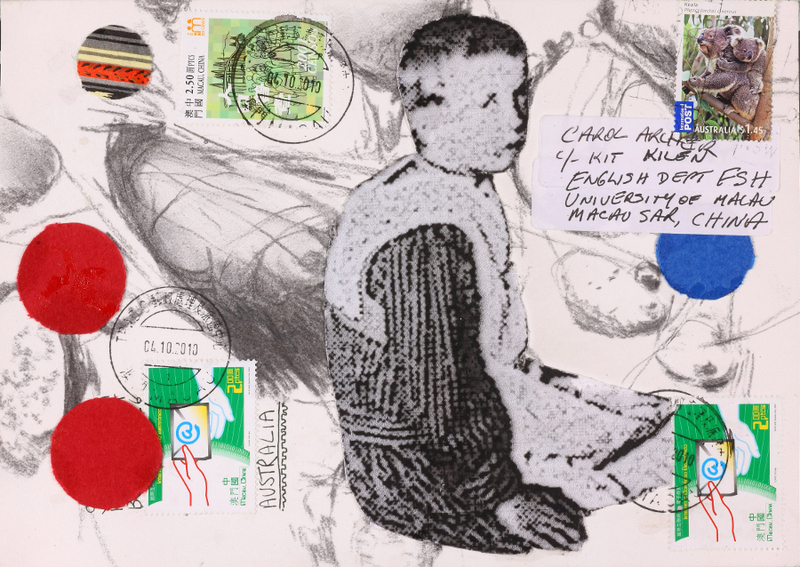 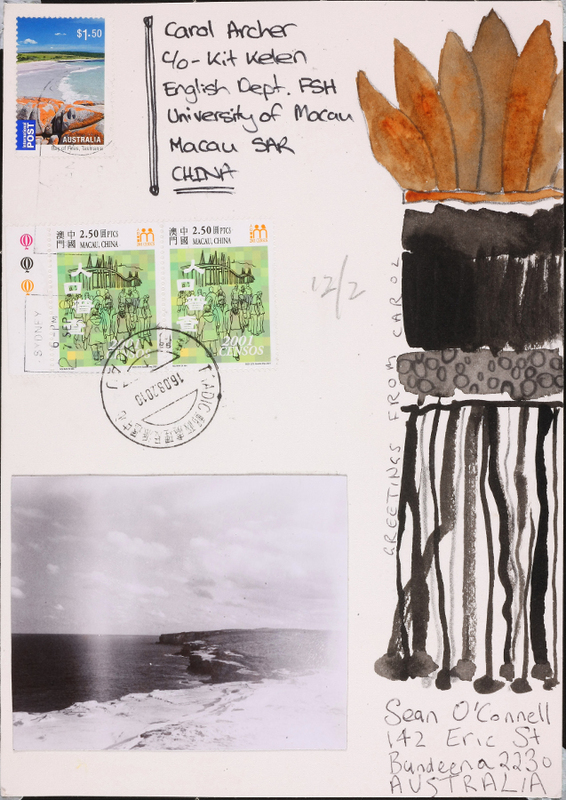 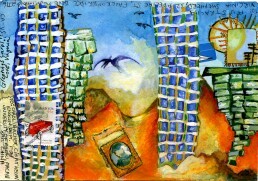 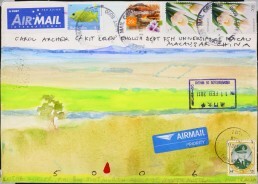 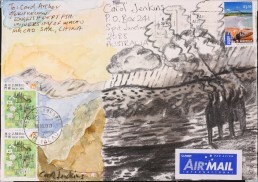 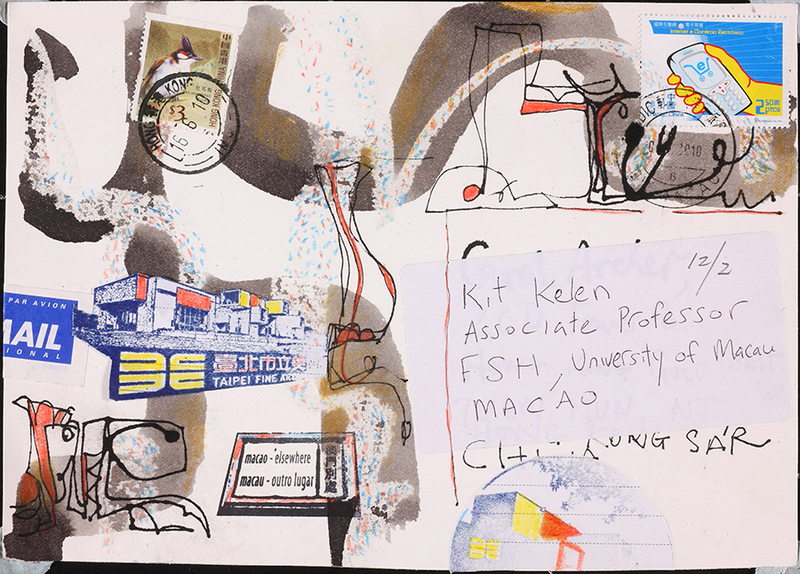 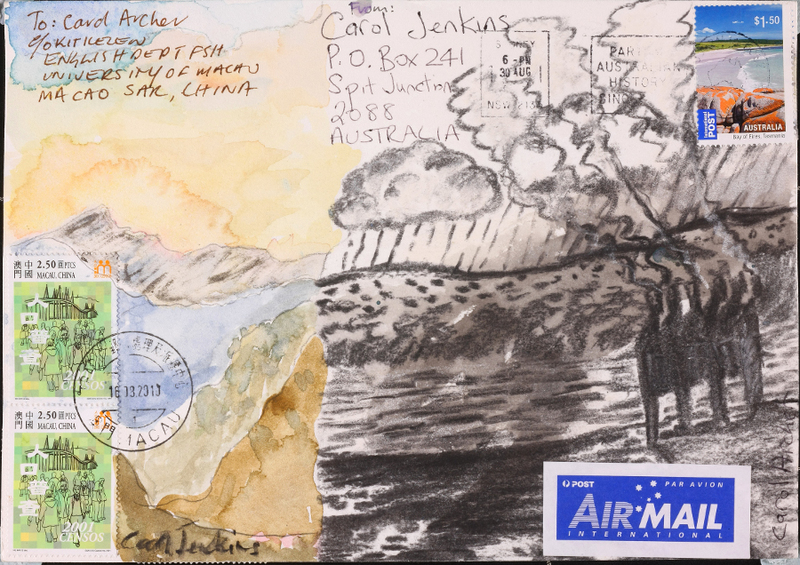 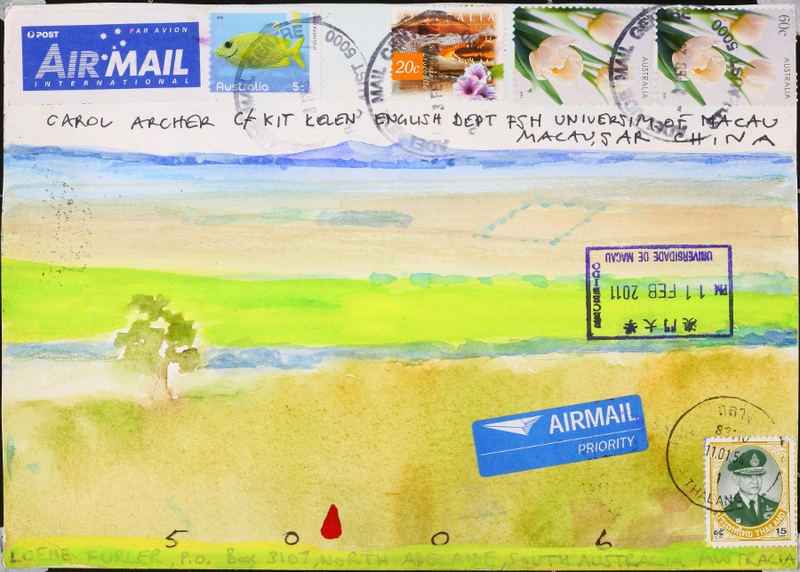 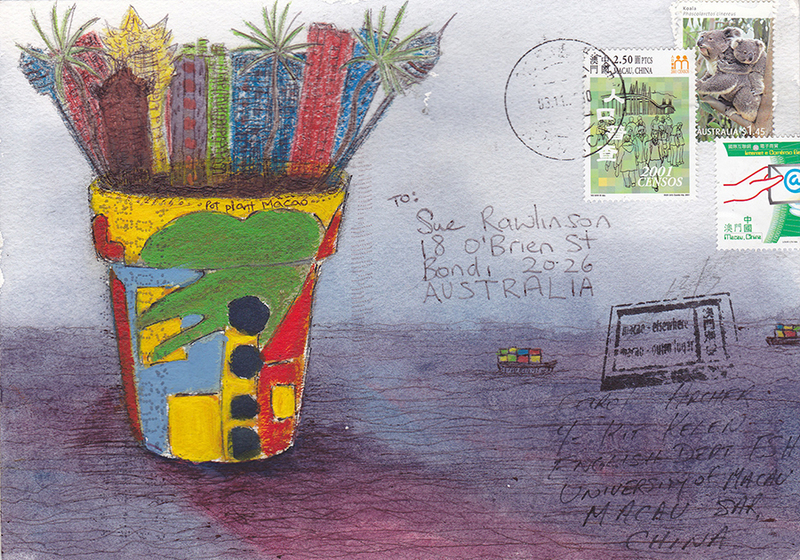 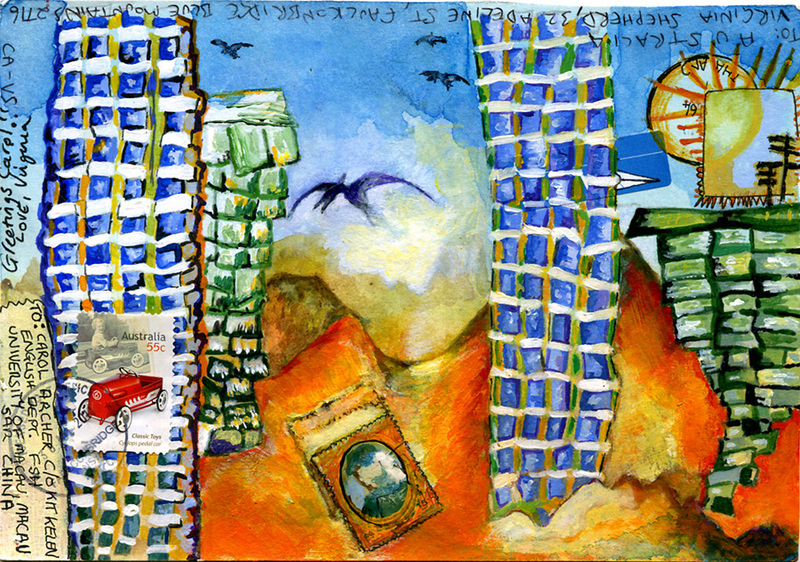 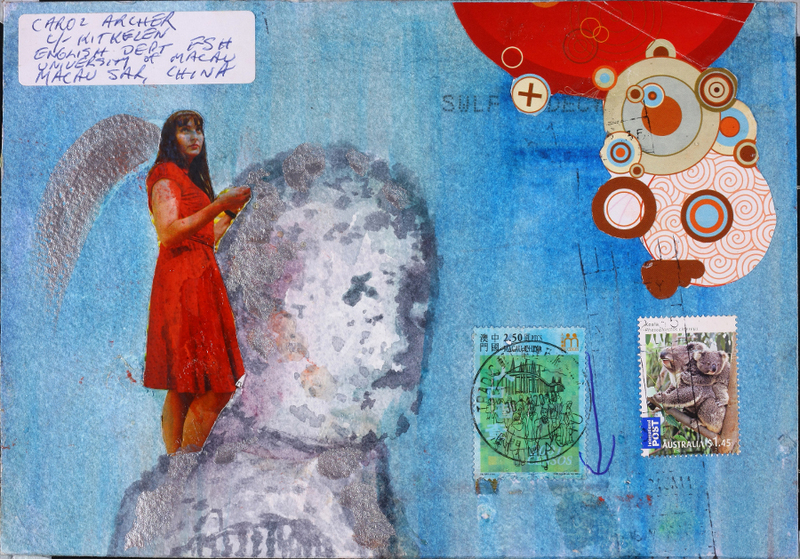 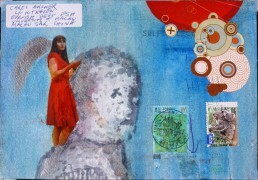 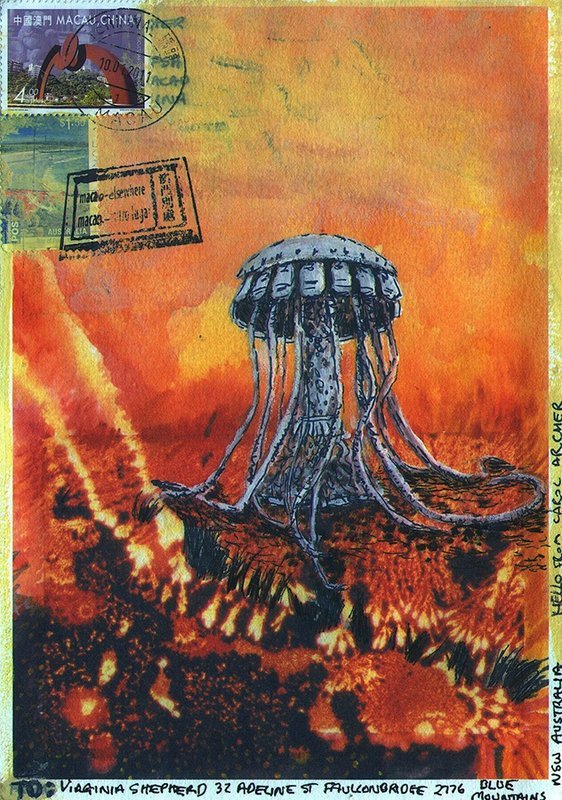 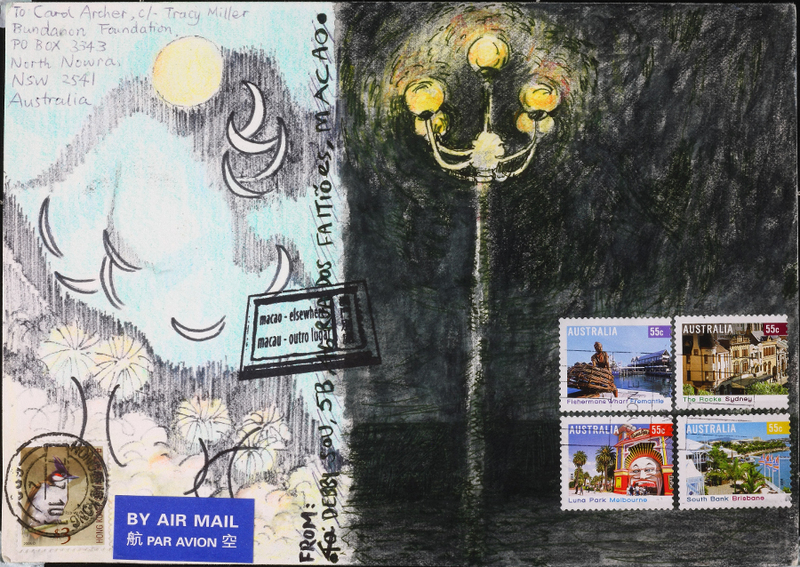 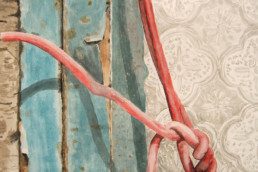 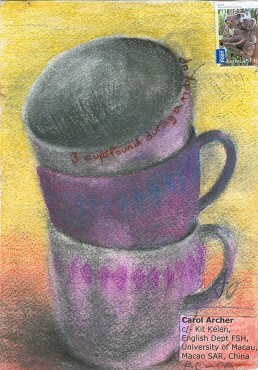 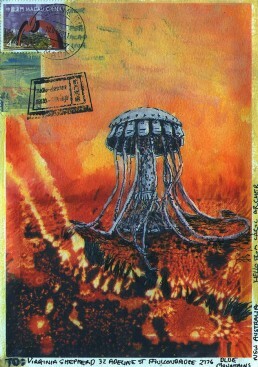 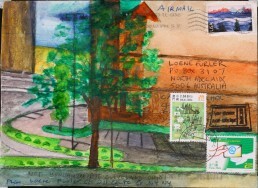 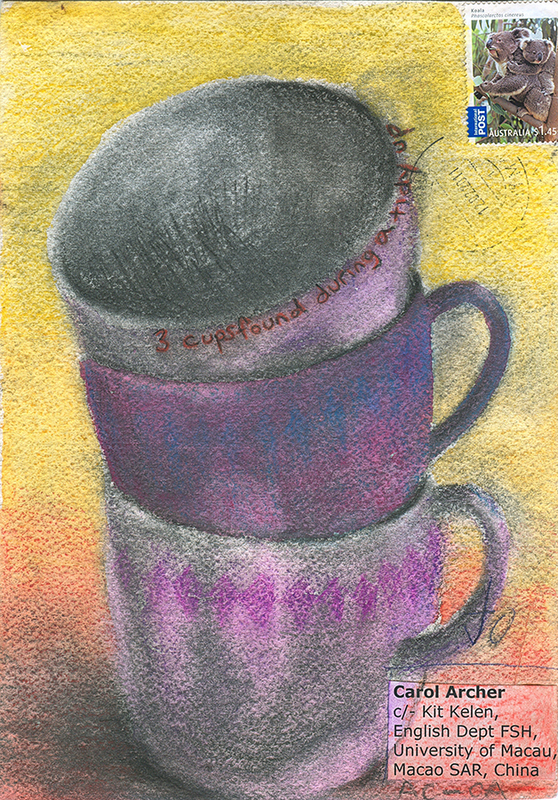 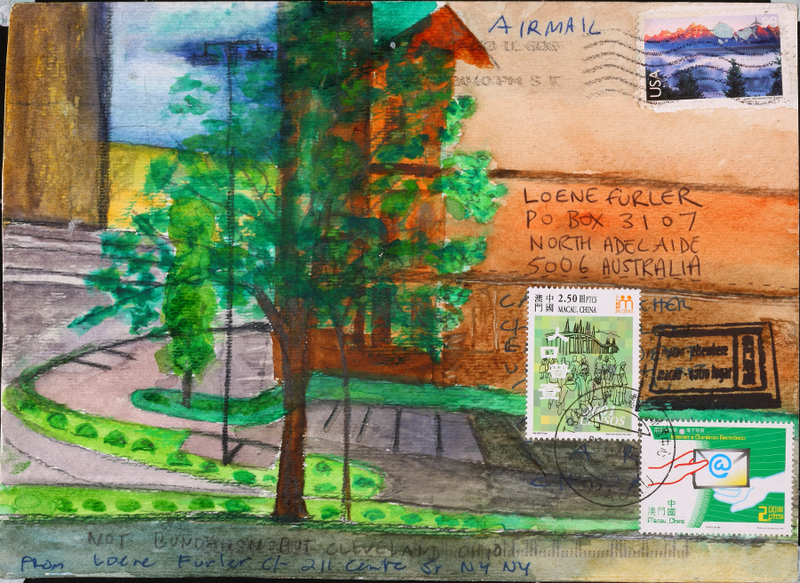 Each of the mixed media postcards in the project is a collaboration by two people, one of whom was in Macao. 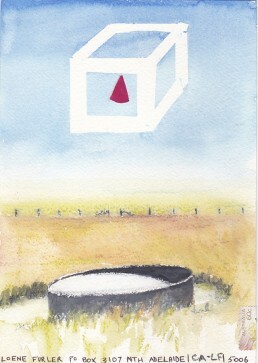 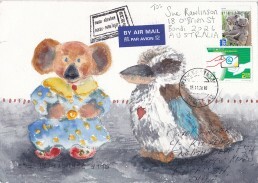 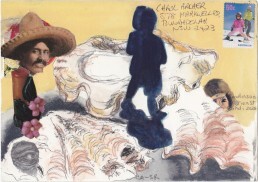 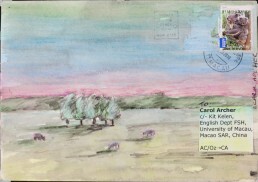 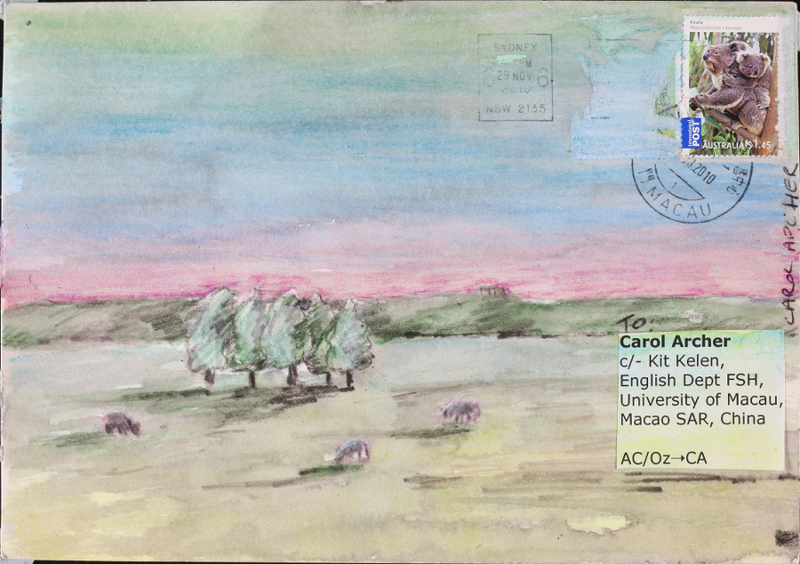 The postcards are heavyweight watercolour paper, 21 x 15 cm in size. 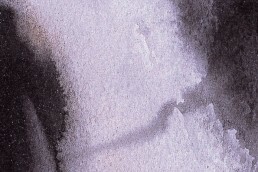 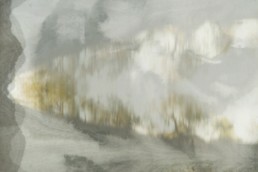 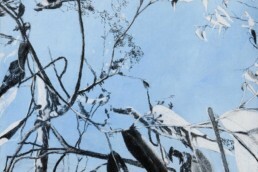 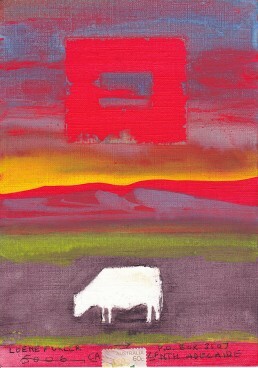 They employ a broad range of drawing, painting and photographic techniques. 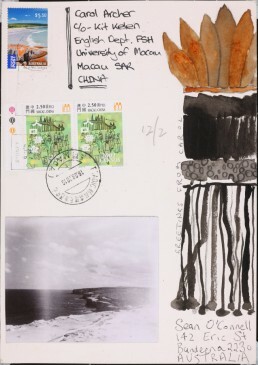 The making of the cards was organized according to a ‘one turn each’ principle: one artist begins a card and then posts it to another artist, who completes it and mails it back to its originator. Participating artists include Carol Archer (Hong Kong/ Macao), Leah Bullen (Australia), Cécilia Cheong (France/Macao), Anna Couani (Australia), Loene Furler (Australia), Carol Jenkins (Australia), Kit Kelen (Macao/Hong Kong), Sean O’Connell (Australia), Sue Rawlinson (Australia), Virginia Shepherd (Australia) and So Vai Keng (Macao). 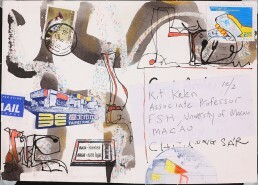 To read a blogpost about the 2011 exhibition of these works in Lingnan University (Hong Kong)’s Fong Sum Wood Library. 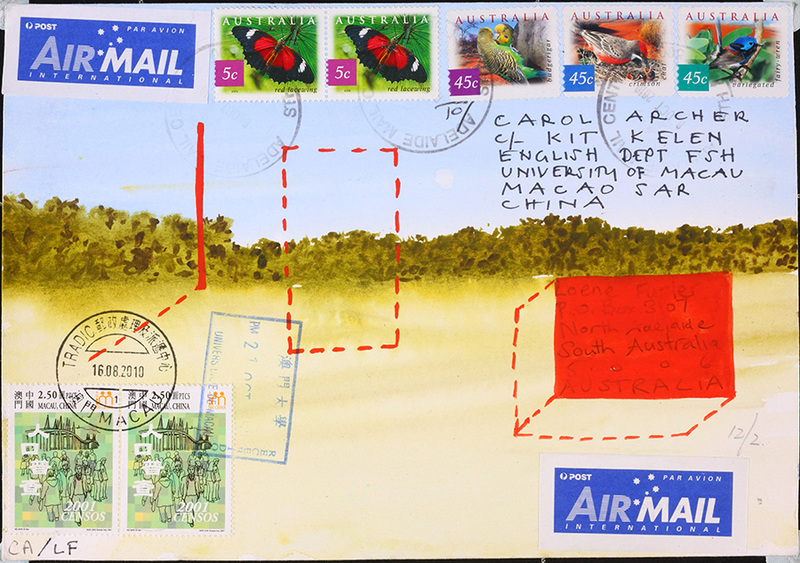 For more info visit the Macao-Elsewhere Project post. 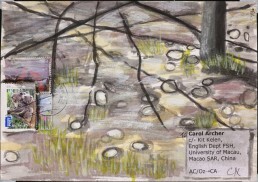 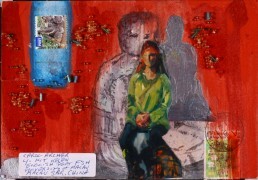 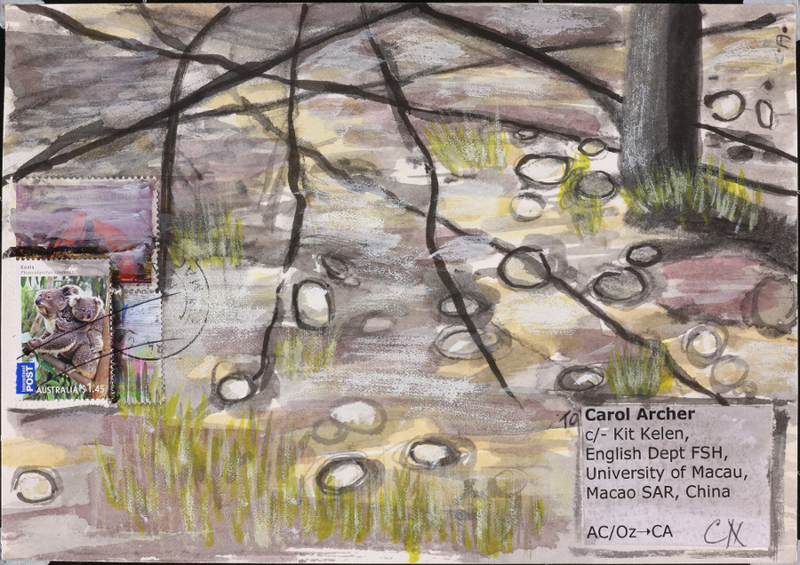 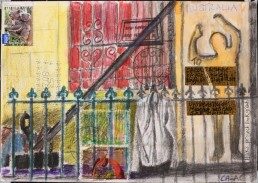 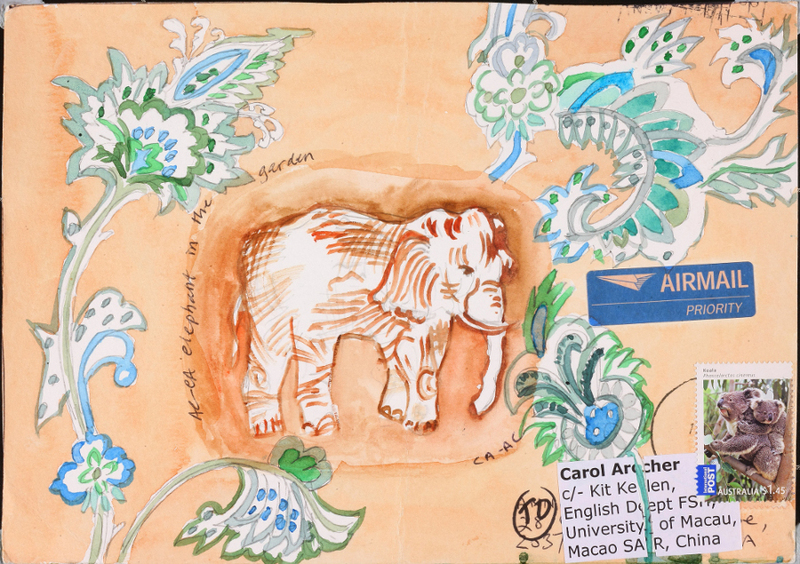 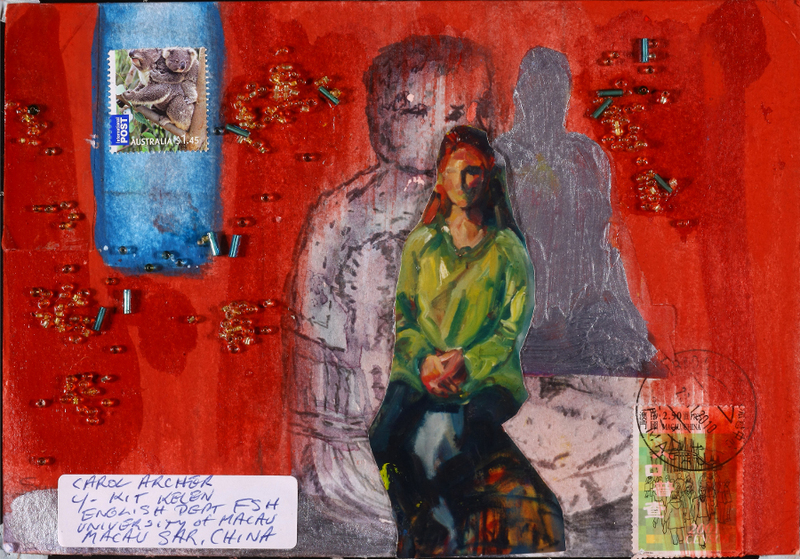 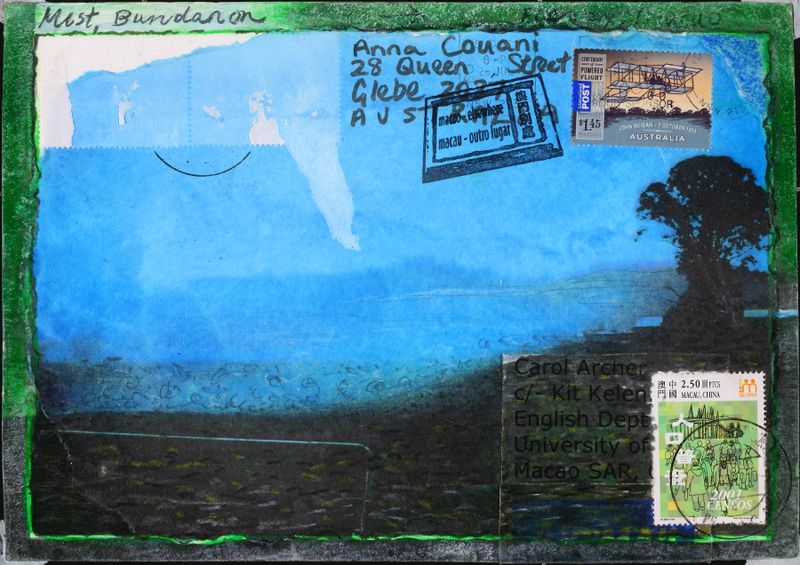 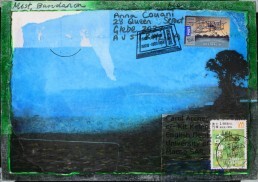 Carol Archer and Anna Couani, Macao-Elsewhere, mixed media on paper, 22x15cm.